Bush Hog® recognizes how important it is to have the right tools to repair and maintain your high quality equipment to ensure it stays in good working condition. 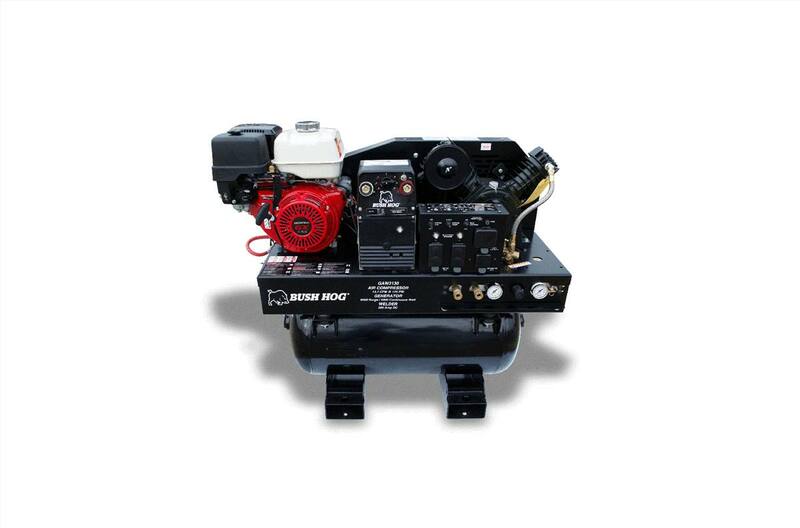 Bush Hog®’s GA and GAW-series units offer the convenience of multiple machines in a single compact platform. Powered by a high end Honda GX series engine, the GA and GAW units come with a 5,000 max watt generator in combination with a two-stage air compressor. The GAW-series models add the functionality of a 200A arc (stick) welder. These combination units are ideal for use in commercial or industrial applications or on the farm. When dependability and productivity matter, let the Bush Hog® GA and GAW combination units help you keep working.